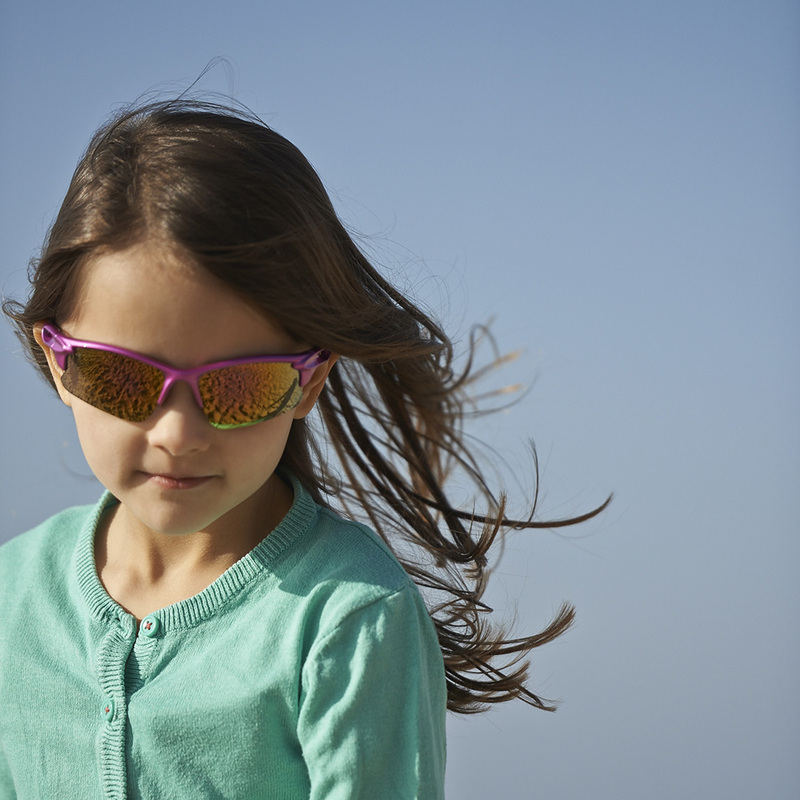 Active kids lead active lifestyles, and unfortunately that can put a beating on sunglasses that aren’t up to the task. Our Blaze polarized sunglasses for youth are just what your child needs to stand up to their rugged lifestyle. 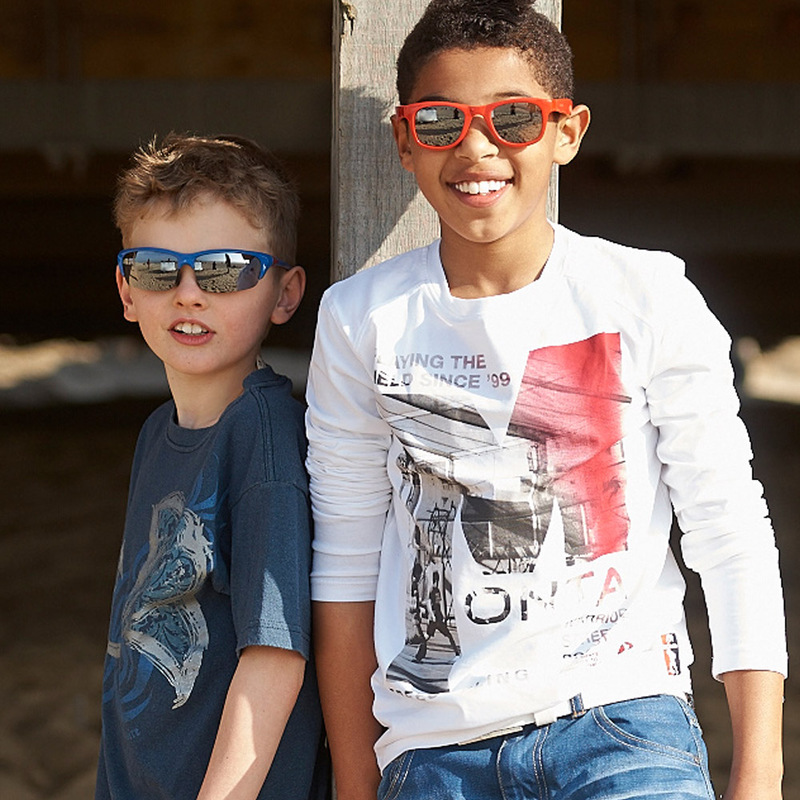 Blaze polarized sunglasses for youth are perfect for children ages 7+. It’s nice to find a pair of children’s sunglasses that fit my son’s head. Most are too tight at the temples. Also, I haven’t found a quality pair specifically for children. These look like high quality adult sunglasses. I’m sure my son will lose them and I will be back to order another pair. These are a great fit for my 7 year old and he loves how sporty they look! Fits perfect! Good communication and fast shipping. My son thinks they “Look cool,” but it is too soon to know if he will keep them on. Excellent fit and nice case included. 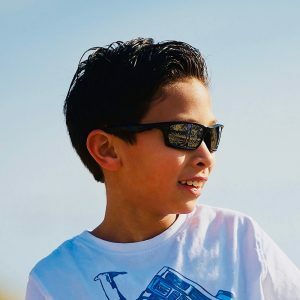 My 9 year old likes wearing them and they are high quality for the price. Love these sunglasses. Got them for my 6-year-old son, had to replace ones that broke. Love the case that comes with them. They fit our 10 year girl great. She is on the smaller side and they even a little big. We bought these for a very active 8 year old, and they didn’t disappoint. They have rubberized material on the ends of the frames that prevent them from slipping even when he bends over to get balls, or fish, yet cover his eye area completely. He likes the no frame on the bottom of the lens because “it’s cool”, and very lightweight. 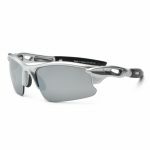 The fact that they are polarized and not just coated makes a huge difference in the clarity, especially when around water. They came with a soft case that clips onto a belt or golf bag as an extra perk. Great buy, very happy. And a “cool” color to boot! Perfect fit for my 7-years old son. As an adult with a really narrow face it is difficult to find sunglasses that are not “kiddie” in my size, and don’t have cartoons on them. 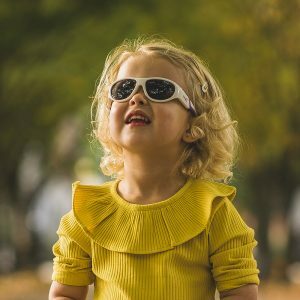 I was a little nervous about buying sunglasses without trying them on but after reading the reviews I decided to give it a try and love them. They fit snugly without cutting off the circulation around my head and don’t look like an adult trying to steal their kids sunglasses too. My son can not wear these sunglasses because they fit way too narrow to his head. 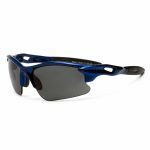 He loves the look of them and I am going to try to find him a new pair on your site. He is 7 and I ordered the 7+ size for him. Very unfortunate! They fit my 9 year old boy perfectly. 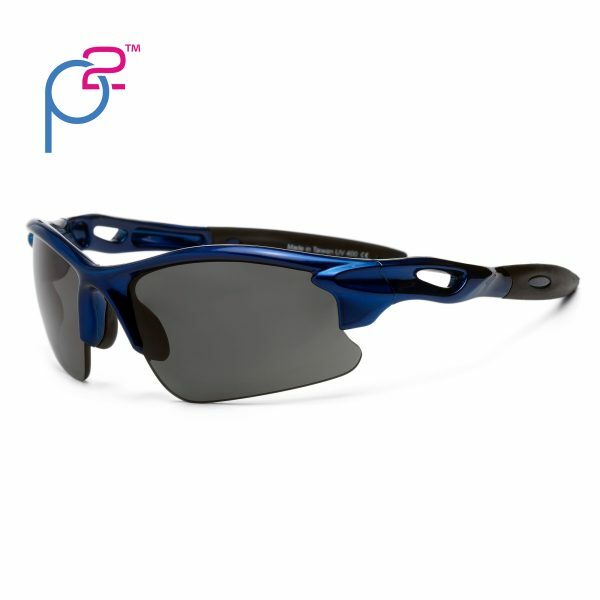 The lens follows the face closely for great protection. 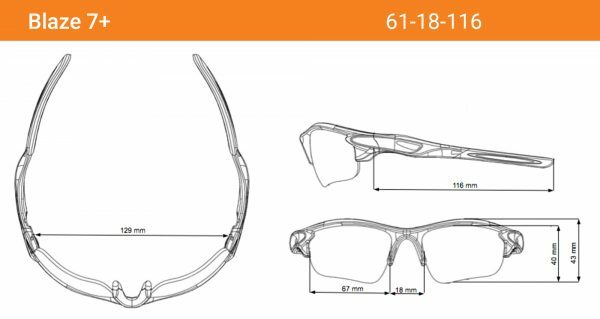 The glasses seem nice enough, come with a plastic carrying case. However, they don’t fit on Asian faces. They bounced when my kid walks. 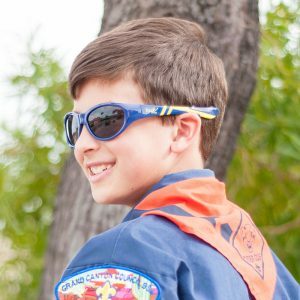 My nine year old is in sailing camp all summer, and needs the eye protection. 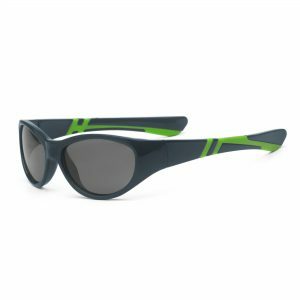 Polarized lenses, snappy (my description!) style that he chose. Great selection throughout. I’m impressed. Will see how long they last! Still, a very nice price for what appear to be high-quality glasses. Shipment was super fast. Purchased for my 8 year old. Fit perfectly and very good quality. Looks like my Oakleys so he loves them. 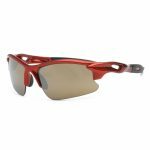 I purchased these glasses for our 8U Softball Travel Team. The girls love them!! They fit great and stay put while plays are being made. The polarized glass help the girls stay safe and accurate when catching fly balls or throws. Thank you for a quality and affordable product!!! The pink polarized blaze ll that are in your pic has a coloured lens and when we received them they are not colour. Yes it says polarized but she also liked what the pic was showing. They fit her well which is nice and the price is nice also. But she really wanted the coloured lenses as shown. My daughter loves her Blaze. Real Shades has the best customer service! Her blade cracked and they replaced her glasses for her, free of charge. All 3 of my kids and myself all have Real Shades!!! My soon to be 8 yr old son loves his new shades. 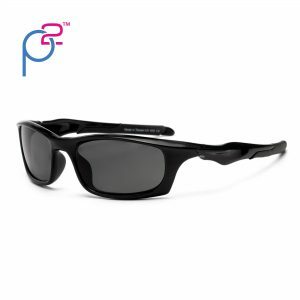 Loves the polarized lenses. Comes with strap, no soft case. Good quality and style. My little boy really love it! He wears his sunglasses everytime he goes out, seems very comfortable with them. Awesome sunglasses! 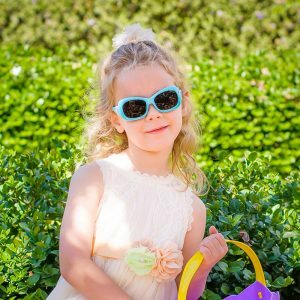 High quality well made sunglasses. Fit nicely in my 7 year old. So happy with these. 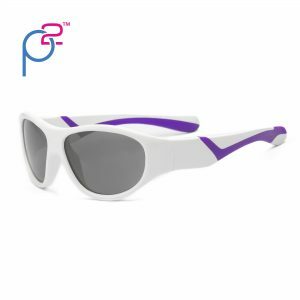 I ordered a set of the purple framed Blaze-youth sunglasses pictured on the website with the multi-colored lenses but received a purple frame with dark-colored sunglasses. Not what the pictured depicted! 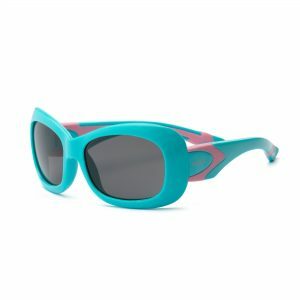 Otherwise, good price for these youth sunglasses. I love my new shades! I wore them for the first time today and they were so comfortable and were very effective in the sun. We live in Texas and I play lots of Pickleball. Pickleball can be quite aggressive with balls heading for your face and having protective eye gear is extremely important . I will be back to order more. I have a very small face and ordered youth 7+. They were a great fit. ReallyI did not notice I had them on. Very happy with this purchase. We just put a basketball court in our back yard so my 8 year old is ALWAYS playing ball. I got him these sunglasses since he is looking up a lot, in the sun. He loves them and they look super cute on him!